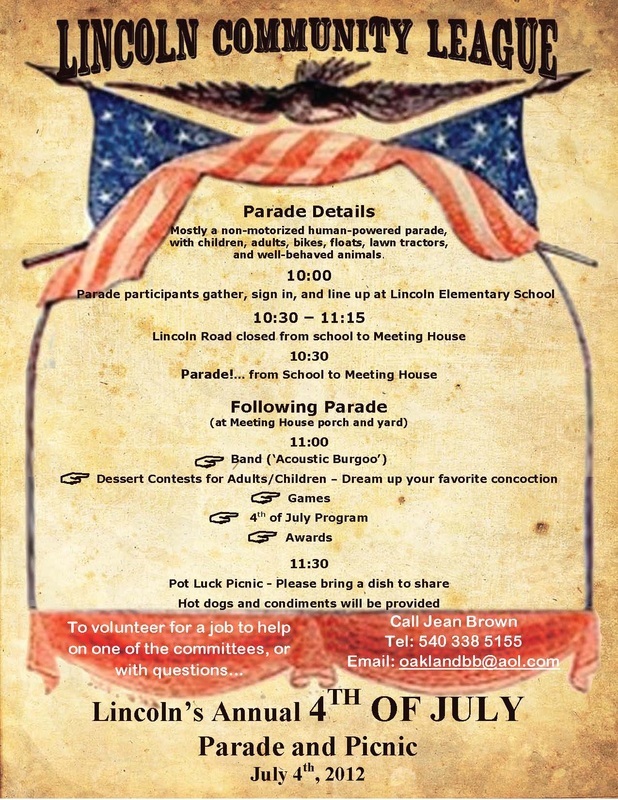 Residents of Lincoln gathered July 4th to celebrate the birth of our country and enjoy our hometown festivities. Red, white and blue were prominent among the estimated crowd of 150. The annual parade included the Boy Scouts, many children, pets and others. The program included a reading of the Declaration of Independence – thank you Sarah Brown! Dan Smith as MC of the event kept the program on schedule and had the honors of announcing the winners of the dessert contest. The dessert judges had a tough job this year with many delicious treats – some judges had to try two samples of each to help make their decisions! The extremely hot temperatures did not deter the great American spirit in Lincoln on July 4th. Thank you Jean Brown for organizing this event and Acoustic Burgoo for the fantastic music! The weather was perfect, the crowd robust as close to 30 children-accompanied by parents, grandparents and friends enjoyed refreshments, games and just plain fun during our annual Egg hunt. 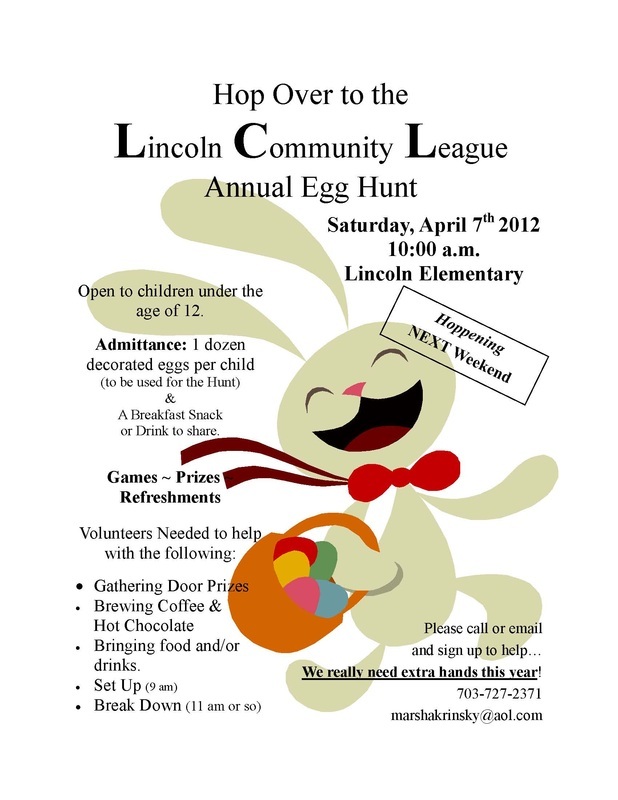 © Copyright 2011 Lincoln Community League.